As expected, it was a quiet day at the box office on Friday the 13th. The Hunger Games maintained its grasp on first place, while The Three Stooges and The Cabin in the Woods had solid openings and were close runner-ups.Lockout, on the other hand, had an unsuccessful launch down in sixth place. 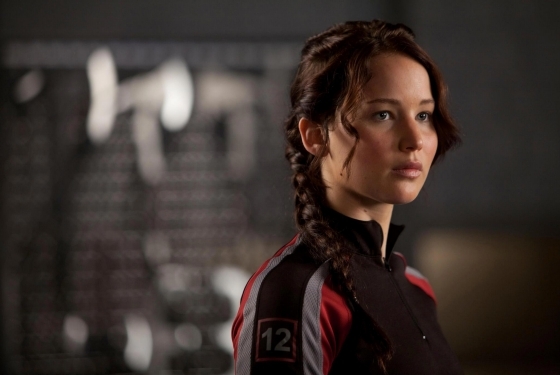 The Hunger Games fell 50 percent to an estimated $6.45 million on Friday. The movie has now held first place for 22 days in a row, and it should finish the weekend on top with over $20 million. So far, The Hunger Games has earned over $322 million, and it now ranks 26th on the all-time domestic chart. The Three Stooges took second place with $5.65 million. That’s lower than most major TV adaptations, including notorious disappointment Land of the Lost ($7.1 million). Still, it made more in one day than The Honeymoonersearned on its opening weekend ($5.54 million), and the modestly-budget Farrelly Brothers movie could finish the weekend with close to $20 million if it manages to draw family audiences on Saturday and Sunday (though a more reasonable forecast is around $17 million). The Cabin in the Woods opened just behind Stoogeswith an estimated $5.5 million, which is a fairly unremarkable Friday the 13th opening for a horror movie. Among Lionsgate horror movies, it was off from all Sawmovies with the exception of the first, and it also made notably less than My Bloody Valentine 3-D ($8.2 million) and Hostel ($7.6 million). It did at least wind up higher than last April’s Insidious ($4.78 million, and not a Lionsgate movie), and that had the supernatural angle going for it. Cabin should get to around $15 million for the weekend.